Beautiful and unusual 18K gold and enamel ladies antique watch and matching pin circa 1880. 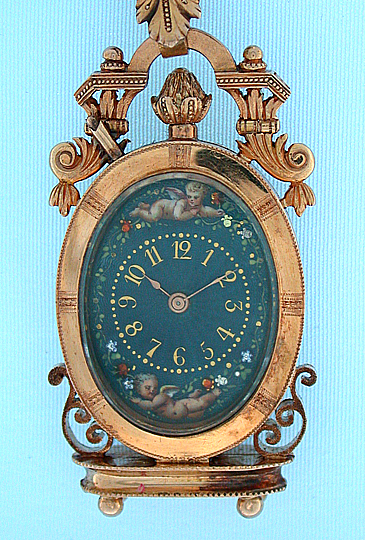 Elaborate gold and enamel pin with detachable matching watch with painted enamel cherubs cherubs. Exhibition back over the gilt 10 jewel cylinder movement. 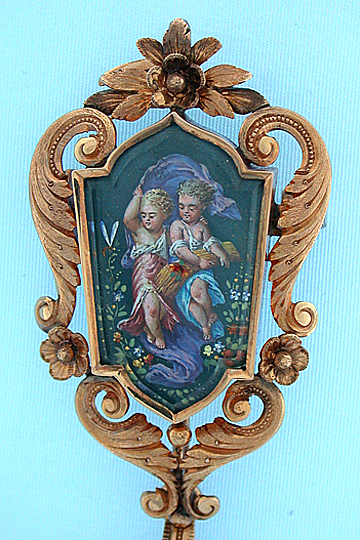 The enamel painting and particularly the goldsmith work are first class. The watch and pin are 110 mm long overall. Particularly fine condition throughout.